Achieve a whiter and glowing skin using this natural remedy! 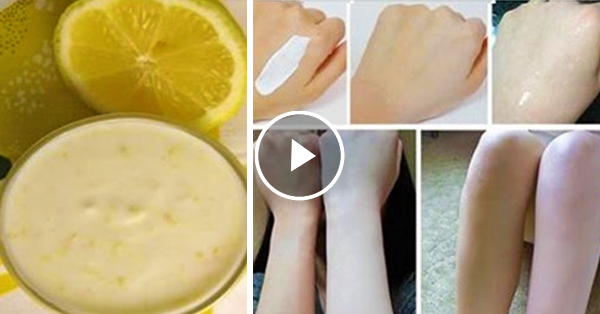 Home / Life / Achieve a whiter and glowing skin using this natural remedy! It is for real that living in a world that's filled with judgmental people is probably the hardest thing to do. It is really hard to live in a society where skin color defines beauty. Because of this thought, a lot of people are doing everything just to make their skin look fairer than before. They've tried using several products but then nothing changed. Now, I have here some home remedies that will surely help make your skin look whiter and make you look younger. - All you have to do is to soak the peeled apple slices in milk for 20 minutes then blend it to form a paste. Place the mixture in the fridge for 10 minutes and then mix a tsp. of lemon juice. Apply this mixture on your face and neck then rinse it with cool water. - Dip a cotton wool in 3 tablespoons of orange juice then dab it on your face gently. Leave it for 7 minutes then rinse with cold water. -mash the half-ripe tomato pulp with a teaspoon of baking soda and a teaspoon of honey. Mix it well then apply it all over your skin. - Put equal amount of papaya and cucumber in a blender. Blend it then ad a teaspoon of fresh milk cream then apply it on your face. - dissolve 2 tablespoons of aloe vera gel and 1/2 squeezed lemon juice to a half cup of water. Place it in an ice cube tray, then freeze it. Each morning, you are required to massage the ice cubes on your face.